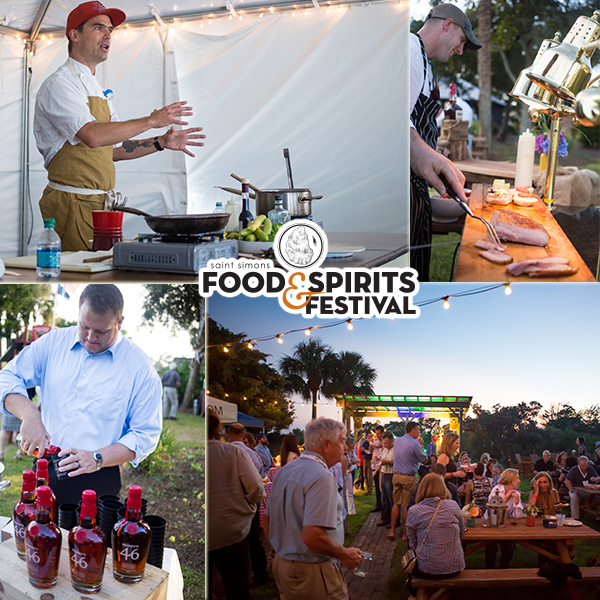 Each year, September brings fall weather, football, and the St. Simons Food & Spirits Festival. This local culinary affair is the highlight of the season and offers something for everyone with its multitude of events- from BBQ competitions where professional golfers (think Davis Love III, Zach Johnson, and more) take on the pitmasters, to Celebrity Guest Chefs displaying their skills, and oceanfront brunches with live music and swaying palm trees. All profits benefit Hospice of the Golden Isles, the area’s only non-profit hospice serving a 5 county area. The main event is “Saturday Under the Oaks,” and takes place at Gascoigne Bluff on St Simons Island. This is where you are sure to find everyone you know. This tasty social gathering has so much going on, you’re sure to enjoy it all! A tasting tent featuring gourmet food from local eateries, mixology tents highlighting specialty cocktails, a market area where local artisans are selling their goods, and even a Kid Zone for the little ones. Throughout the day there will be many live demos, including a Chef Showdown. Four local chefs will compete in a 30 min “Chopped Style” cook-off, which will be judged by the audience and Celebrity Chefs. In the spirit of charity, to participate in the Chef Showdown, each chef is raising money for Hospice of the Golden Isles here, and the Top 4 earners will earn their spot in the competition. This event is particularly exciting for us because ECHO’s Chef de Cuisine, James Flack, is one of the local chefs trying to earn his spot in the Top 4 to compete on October 3. You can vote for Chef Flack so he gets the chance to compete by donating here! For more details on each event, or to purchase tickets visit here. 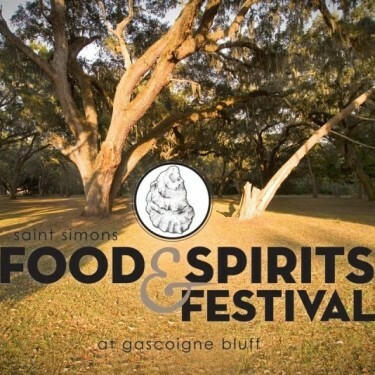 You can also follow & post on social media using #tastessi and by following Saint Simons Food & Spirit Festival on Facebook or @SSFSFest on Twitter & Instagram.